Hair chalking, dyeing with rainbow colors or lightening ombre style has been all the rage for the last year, but what if you’re feeling a bit more splashy? 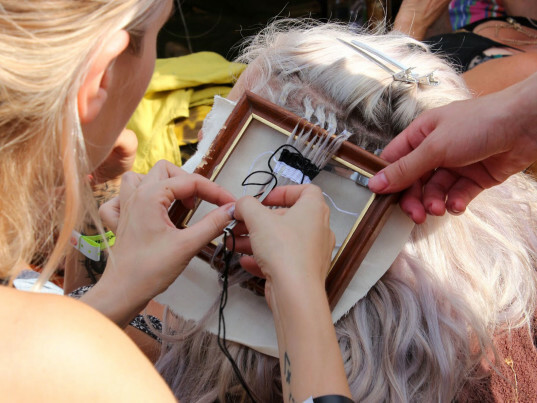 Hair tapestry has just hit heads across the world, fusing traditional weaving with hair accessories. Although hair tapestry is less permanent than dyeing or bleaching, turning your head over to a loom requires some major dedication. Many of us have an affinity for hand weaving friendship bracelets as a child from skeins of embroidery floss, and wearing them stacked on each wrist until they fell off. In the same spirit of DIY fashion and for the love of color, fashion mavens are posting tutorials like mad of hair tapestry, weaving, crocheting and wrapping. The temporary woven infusions allow fashionistas to add a myriad of color and pattern directly into the hair with a simple knot and twist of the wrist. Tight weaves had thick stripes of color to sections of hair, while a loser weave allows locks to be more pliable and flow more freely. Once you’re tired of the thread extentsions, they can simply be cut out and removed. You don’t need fancy tools to don your own hair tapestry, simply dig out your old craft box and grab an embroidery hoop, large (and dull) needle, and of course a rainbow of embroidery floss. 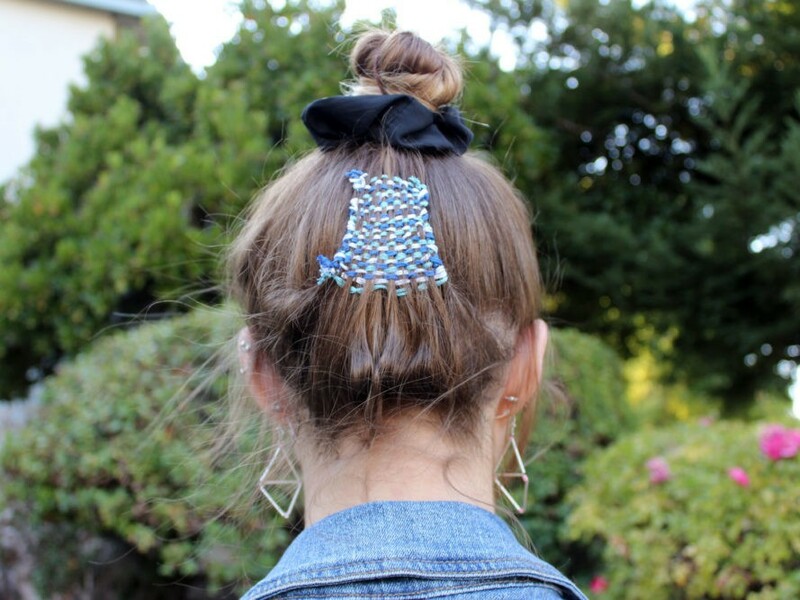 The patterns, color combos and length is then your way of customizing this season’s crafty hair accessory.